The medical council of India were enraged upon receiving news that some Indian students upon graduating high school are misled into applying into medical institutions which are not of international standard and quality especially in other countries in Asia, thus it released a provisional list of schools which are approved for India students yearning to study outside India. In this list Hebei north university was approved as one of the medical institutions liable for students to study MBBS. The decision to add HBNU to the list is due to its high standard of teaching and curriculum accredited by WHO and other international bodies. The standard of teaching is on par with many top notch universities in the world and even though its located in china the language medium used in teaching is English medium. The professors and doctors who teach are the most prolific in their specialty. The MBBS course run through a period of 5 years and has a one compulsory internship in the country of ones choosing. The first year is a foundation course towards the medical program students study biology, physics, organic chemistry and calculus. 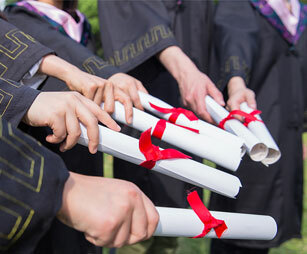 Students on graduating receive certificate which are recognized worldwide and thus makes them eligible to write international medical exams such as PLAB and USMLE, also are able to go back to India and become medical practitioners after successfully passing their medical council medical examinations. The university is located in Zhangjiakou city in Hebei province. Zhangjiakou used to be known as the Northern Gate of Beijing .it is a really beautiful place with scenic areas. It is a 3-hour train ride to the capital city of China i.e. Beijing. The city is one of the host city o the upcoming 2022 winter Olympics. You are welcome to study with Hebei north university. It will definitely be one of the most fruitful journeys of your life. The success of our students in their various home countries testify to why HBNU is the best choice to study MBBS abroad.